The Scoundrels are a hotter vintage set with an overwound bridge that cures the dreaded Strat bridge ice-pick. These are warm with a fat bottom and big strat tone. Built with Alnico II magnets the Scoundrels are handwound with 42 gauge plain enamel wire and exhibit ‘that’ tone that can only be had by hand winding and an exaggerated scatter. Vintage push back leads. Built the old fashioned way. Vintage Revel Strat pickups are constructed true to vintage methods. 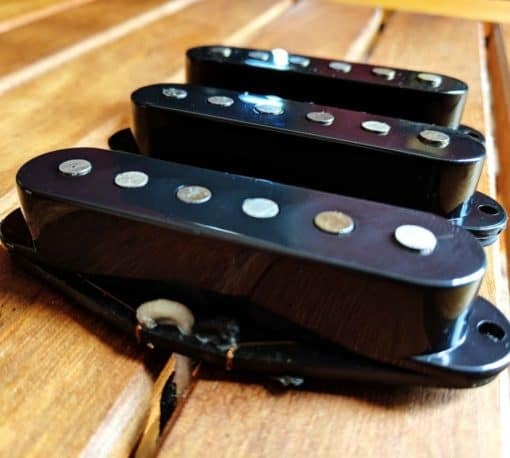 There’s obviously something special about the best of these classic pickups and we feel it’s worth preserving with our vintage offerings. Every magnet is weighed for consistency and hand-beveled. The magnets are then individually pressed into the flat work and the assembly cleaned. The assembled bobbin is then dipped in lacquer and left to dry. This dipping bonds the magnets and flat work together and helps to protect the pickup for many, many years of use. The magnets are then wrapped with a special paper tape to further protect the assembly and assure its longevity. We build our pickups to last forever. Then the pickup is scatterwound with a particular wire of particular gauge chosen to produce the exact tone of the pickup in question. All of our Stratocaster replacement pickups are wound by hand. The leads are then attached and the resistance and inductance are measured. Finally the pickup is potted in pure paraffin wax. This is the one slight difference between the vintage method and ours. Simple paraffin is better and so we use it exclusively. Over the past few months I have gone pickup crazy. I’ve bought and installed Dimarzio Choppers, Duncan Hotstacks, Duncan Classics, and Lollars and two things have surprised me. 1. I still have a wife. 2. 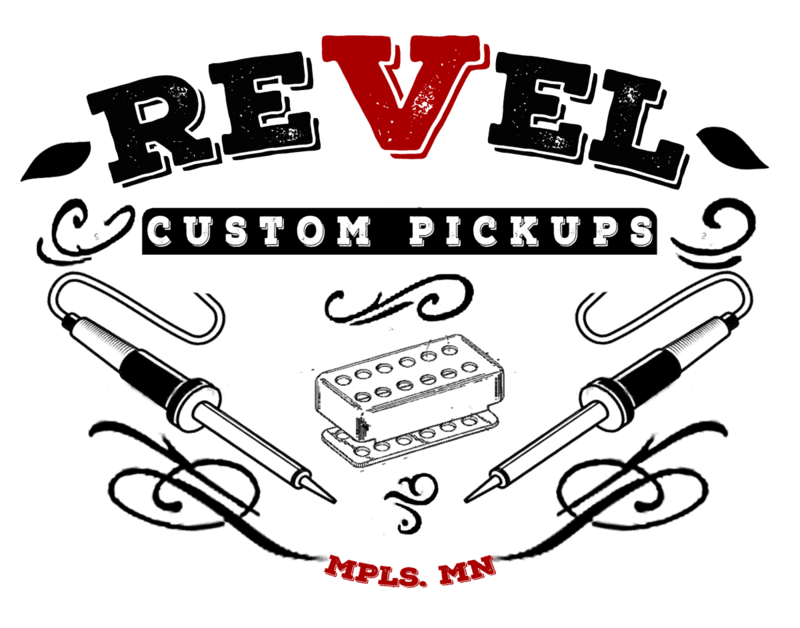 These Revel Scoundrels are the best sounding of all of them. I play blues and this pickup quacks and pierces quite perfectly. I have been playing in a hard rock band and this pickup is so full my drummer said he’d never seen a single coil do that so well. Scoundrels have insane range. From melting faces with distortion to tearing up eyes with beautiful cleans with a twist of a knob. I would advise anyone to get a set before Revel Pickups stops selling them for this insanely low price!